Every year, we try to find opportunities for our students not only to enjoy the beautiful Stanford campus and San Francisco Bay Area, but to actually cover the events taking place in it as well. After all, there’s no better way to practice your journalism skills than by covering a real story. 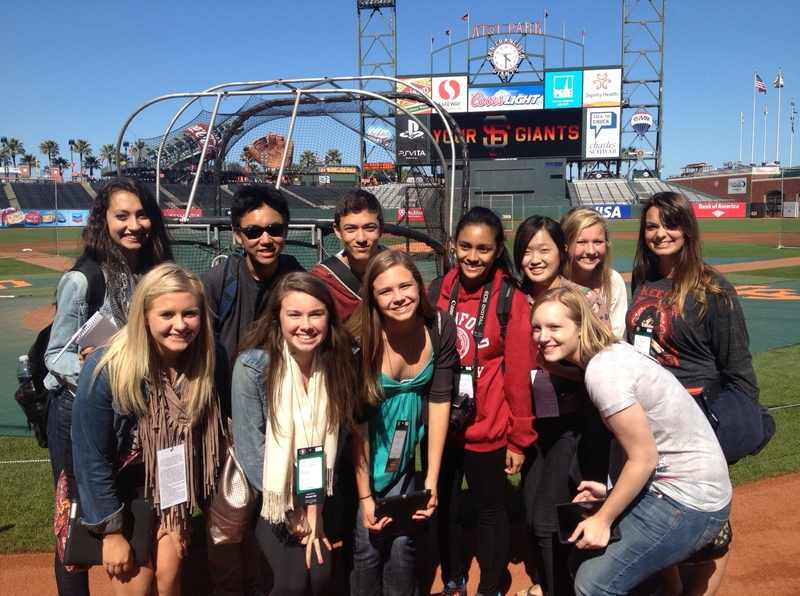 NBTB students enjoy a rare pre-game tour of the ballfield at AT&T Park in San Francisco prior to the SF Giants vs. Cincinnati Reds game during NBTB 2012. This year, a group of 25 students and staff will head to AT&T Park in San Francisco on Monday, June 27 to watch and report as the San Francisco Giants take on the Oakland A’s. Our Year 1 field trip to San Francisco also typically includes a tour of AT&T Ballpark, which is known for its environmentally sustainable construction. We work hard to find opportunities for students to do real-life reporting. In the past, those have ranged from a Giants game to performances at the Stanford Jazz Festival and visits to the Boudin Bakery, home of San Francisco’s famed sourdough bread. NBTB 2013 students capture quotes, photos and video during a reporting trip to San Francisco’s Castro district. Each of our student news teams has a different focus, and many of these opportunities are limited, so we don’t send all of the camp to any one place. And the Giants aren’t always in town when we are. But we know that by the end of camp, every student will go home with a special memory and a story that describes it. Follow us on Twitter, like us on Facebook and keep watching this space for more news on NBTB 2016 at Stanford this summer.